Kalypso Media is currently searching for dictator hopefuls to take over the banana republic of Tropico in the beta test for Tropico 3. Tropico 3 ditches the second game's pirate motif in favor of a return to the original Tropico, with players once again stepping into the role of El Presidente, managing the day-to-day affairs and development of the blossoming island nation. Kalypso is offering a select group of players the chance to help make sure their vision is true and unfettered by game-stopping bugs. All you need to do is head to the Haemimont Games website, fill out the closed beta application, and then wait. Oh the waiting you will do. So much waiting. Actually the beta kicks off on July 13th, so you probably won't be waiting that long. 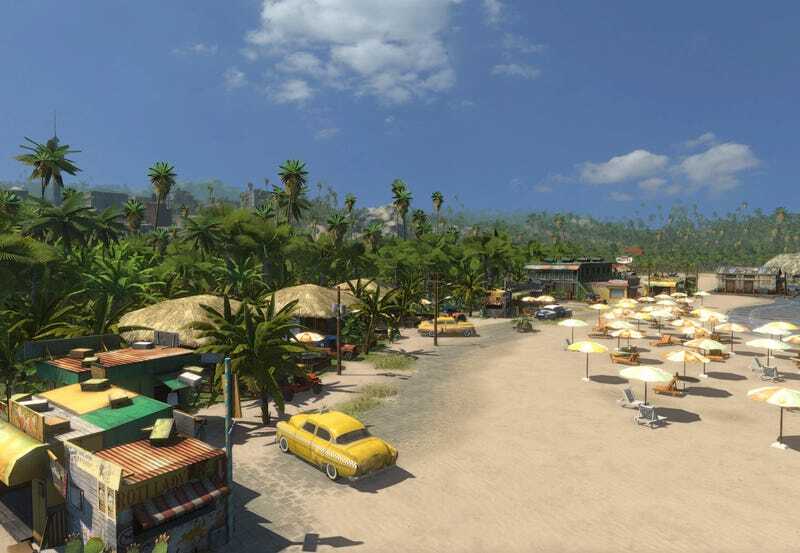 For more information on Tropico 3, visit the official website.